Cutting the cord is all the rage. It seems like no matter who you talk to, they’re into kicking the old cable company to the curb. However, cord-cutting isn’t what most people think. Around the time cable bills started going over $100 a month, people started looking for alternatives. They said, “let’s bundle Netflix and Hulu and that’s most of my TV anyway.” It started out great but before you know it you’re paying Netflix, Hulu, CBS All Access, Prime Video, ESPN+, HBO NOW, and a few other services. if you’re a live TV watcher, you might also have added a Sling or DIRECTV NOW subscription and before you know it, you’re up above that $100/month level again. There is a way to pay once and save money forever. When you look at your credit card bill, you might be upset that you’re still paying too much for TV. The good thing is there’s a simple solution. You can put up a TV antenna. Once you connect an antenna, you’ll get dozens of channels, all free forever with no subscription fees. This includes all the top rated programs and tons of channels you didn’t even know about. 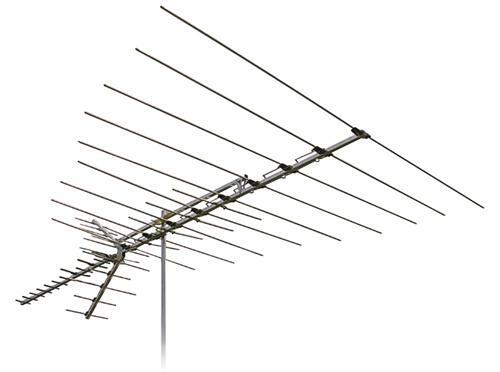 You pay once to buy the antenna and then there is absolutely no monthly bill. Period. That’s where The Solid Signal Blog comes in. Over the years we’ve compiled a list of the best and most comprehensive antenna articles on the planet. You’ll find over 750 articles that show you which antenna to choose, talk about the programs you’ll get, and review all the common equipment. You’ll even learn how to set up recordings for live TV and even pause live TV so you won’t miss out. Why do you need to pay for so many streaming services when you can have so much great content with no compromises? Check out all the great antenna articles now. If you have a specific question, use the search box at the top right and you’ll get a list of articles tailored specifically for you. Enjoy, and when you’re ready to take the plunge, you’ll find the best selection of TV antennas on the planet by shopping at SolidSignal.com. Even more cities added to our Cord-Cutter’s Guide!